TOLEDO, Ohio, Dec. 4, 2018 /PRNewswire/ -- Welltower Inc (NYSE: WELL) announced today the appointments of Karen DeSalvo, MD and Johnese Spisso, MPA to its Board of Directors. "On behalf of the entire Board of Directors, I am delighted to welcome Karen and Johnese to the Welltower Board," said Jeff Donahue, Board Chair. "These two health care professionals have outstanding depths of experience in major health systems management, health care technology, and groundbreaking public health initiatives. Their knowledge and the key roles they have played in health care innovation will complement our diverse and talented Board." Dr. DeSalvo, is a physician and professor in the Departments of Internal Medicine and Population Health at the University of Texas at Austin Dell Medical School. Her medical and public health leadership and expertise spans three decades in the academic, policy and practice environments. She served as Acting Assistant Secretary for Health at the U.S. Department of Health and Human Services and concurrently as National Coordinator for Health Information Technology for the United States during the Obama Administration. She was previously the Health Commissioner for New Orleans. 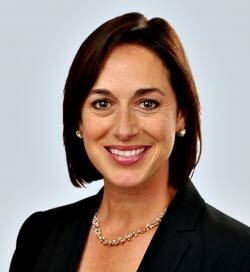 Dr. DeSalvo joins Welltower's Board of Directors with a proven track record of creating value through experience in governance and strategy, establishing and restructuring organizations, and implementing operational discipline. She has been repeatedly recognized by Modern Healthcare as one of the 50 Most Influential Physician Leaders and Executives. She currently serves on the Board of Directors of Humana and on the Advisory Board of Verily, an Alphabet Company. "As we work to address the public health and population health needs of the individuals cared for in our communities, I am energized by the opportunity to work with Welltower's other Directors and management team to introduce innovative and tech-enabled real estate solutions to provide for the well-being of our aging population," said Dr. DeSalvo. Johnese Spisso, President of UCLA Health, CEO of UCLA Hospital System, and Associate Vice Chancellor of UCLA Health Sciences, is a nationally recognized academic health care leader with more than 30 years of experience. She oversees all operations of UCLA's hospitals and clinics as well as the health system's regional outreach strategy. 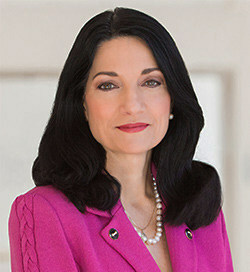 Prior to joining UCLA in 2016, she served as the Chief Health System Officer for the University of Washington (UW) School of Medicine, as well as the Vice President for Medical Affairs for UW. A nurse by training, Ms. Spisso has a strong reputation in academic circles and has demonstrated success in strategic and operational leadership. Prior to her tenure at UW, she spent 12 years at the University of California Davis Medical Center having served as Director of Critical Care, Level I Adult & Pediatric Trauma Center and Burn Center in her final four years there. Ms. Spisso has had a long and distinguished career in large academic health system management and was included in Becker's Hospital Review 100 Great Healthcare Leaders to Know in 2017. "I was attracted to Welltower by the potential impact it has as a convener of care," said Ms. Spisso. "In particular, I am excited and impressed by how Welltower uniquely partners with world class health systems to create modern ambulatory networks and alternative sites of care which should ultimately improve health outcomes and lower health care costs." CEO Tom DeRosa commented, "On behalf of Welltower management, we could not be more pleased than we are today with these two appointments. The outstanding skill sets in health care delivery that Karen and Johnese bring to our Board will further enhance Welltower's ability to be the industry leader in health care infrastructure and solutions." Mr. DeRosa added, "On a personal level, I am especially proud that their addition to the Board will bring our number of female Directors to four. With 55% of our independent Directors minorities and women, Welltower stands at the very top ranks of the S&P 500 for Board diversity."